Panasonic's Leica Summilux DG 25mm f1.4 is a high quality standard prime lens with an effective focal length of 50mm. It's the second Leica-branded lens from Panasonic for Micro Four Thirds, and like the 45mm f2.8 macro before it, Leica designs the optics and Panasonic manufactures it in Japan. The build quality and manual focusing ring are of a high standard and it delivers great quality results. The f1.4 focal ratio allows you to work in low light and deliver a shallow depth of field that can be great for close-range portraits; indeed I personally find it easier to photograph portraits of kids with this lens than longer models. Overall a worthwhile step-up from the 20mm f1.7 if you like the 50mm coverage and one of my personal favourites, although some owners of Olympus bodies have reported occasional rattling during composition as the aperture is adjusted. Note there are now a number of 25mm options for Micro Four Thirds, but I continue to be drawn to the rendering of this oldie but goodie. Check prices on the Leica 25mm f1.4 at Amazon, B&H, Adorama, or Wex. Alternatively get yourself a copy of my In Camera book or treat me to a coffee! Thanks! The Panasonic Leica Summilux DG 25mm f1.4 is a standard lens for Micro Four Thirds cameras, including Panasonic Lumix G, Olympus PEN and Olympus OMD models. Mounted on a Micro Four Thirds body it delivers an effective focal length of 50mm, making it a classic standard lens for general-purpose use, while the fast f1.4 focal ratio is ideal for use in low light or for achieving a shallow depth of field. Announced in June 2011, the 25mm f1.4 became the second Leica-branded lens from Panasonic for the Micro Four Thirds system. Like the 45mm f2.8 macro lens before it, this means Leica designs the optics and Panasonic carries out the manufacturing under approval in Japan. Interestingly it was the first Micro Four Thirds lens to deliver so-called standard coverage, equivalent to 50mm on a full-frame body, and since then there’s only been one alternative sharing the same focal length: the Voigtlander 25mm f0.95 which trumps it on focal ratio, but is larger, heavier, manual focus only and costs roughly twice as much. In terms of more affordable alternative primes for general-purpose use, there’s Panasonic’s own 20mm f1.7 pancake lens with a 40mm equivalent field of view, or the two 17mm options from Olympus with 34mm equivalent fields of view. 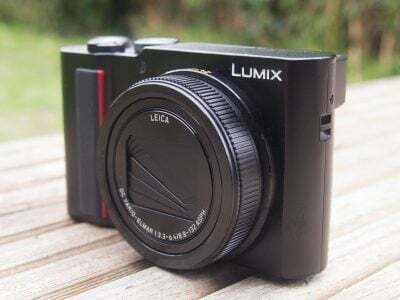 The Panasonic 20mm f1.7 is of course the closest rival to the 25mm f1.4 and the big question is how they compare not just in terms of quality, but also potential depth of field, general flexibility and value for money. 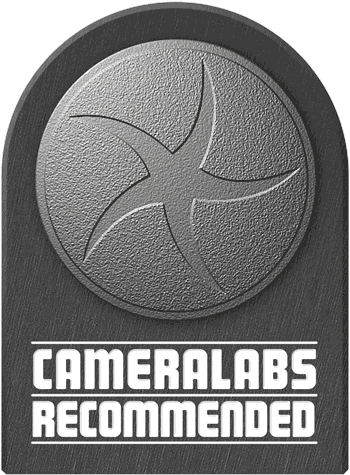 In this review I’ll try and answer all these questions to help you choose the ideal general-purpose lens for your Micro Four Thirds body. The 25mm f1.4 becomes the second Leica-branded lens from Panasonic for the Micro Four Thirds system, and there’s more than a passing resemblance with the earlier 45mm f2.8 macro. At first glance, the lenses look almost identical, sharing a symmetrical chunky barrel, silky smooth manual focusing ring, 46mm filter thread and smart black coating with lettering in Leica’s squared-off font. Measuring 63mm in diameter and 55mm in length, the 25mm f1.4 is the same width but a little shorter than its counterpart and lacking the two switches on the side; there’s no need for a focus limiter on a lens like this, and sadly no image stabilization to turn on and off either, so if you’re mounting it on a Panasonic body, it’ll become an unstabilised combination. Weighing 200g, it feels virtually the same as the 45mm f2.8 in your hands and mounted on a body. It’s obviously a lot larger than the various pancake lenses available for the Micro Four Thirds format and therefore looks most natural on the mini-DSLR styled bodies, but it’s not out of place on the smaller models; indeed I used this lens on a Panasonic GX1 for one year while traveling and it never felt unbalanced in looks or weight. I’ve pictured it below on a small GF series and with and without its lens hood on a larger G series. Like the 45mm f2.8 before it, the lens is dominated by a wide manual focusing ring that’s perfectly damped and silky smooth in operation. 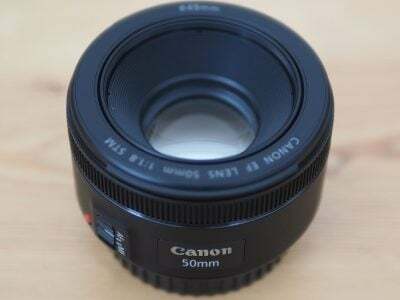 It feels like using one of Canon or Nikon’s top-end professional lenses, and after a few moments pushing the ring back and forth it’s hard to return to the stiffer and scratchier manual focusing rings of cheaper models like the 20mm f1.7. It’s particularly satisfying to turn when pulling-focus on movies and you can see an example below. Of course if you mostly autofocus, then it’ll be of little consequence to you, but even the most die-hard autofocuser will find it hard to suppress a smile when they turn this beauty. I should note that like all Micro Four Thirds lenses, the manual focusing is motor-assisted, not mechanically-linked. At the end of the lens is a 46mm filter thread (gratifyingly the same as the Panasonic 20mm f1.7, 45mm f2.8 and Olympus 45mm f1.8), and a bayonet mount for a lens hood. My test sample was supplied with a rectangular lens hood which scores ten out of ten for style, but somewhat less for practicality as it can’t be reversed over the barrel for transportation; rather worryingly the fit on my hood wasn’t that tight and it rattled a little which isn’t ideal for movies, although I believe it was a pre-production model, so final samples should be better. Certainly I tried it with the similarly-styled hood which comes with the 45mm f2.8 and it fitted perfectly – indeed the 45mm hood worked fine without any vignetting on the 25mm which illustrates it could have been longer and more effective on the lens it was designed for. The overall build quality of the 25mm f1.4 feels very good, better than the kit lenses and unsurprisingly like the Leica-branded 45mm f2.8 before it. But also like that lens, the 25mm f1.4 is not weather-sealed. Sadly weather-sealing is something which came quite late to the Micro Four Thirds system, so while the Panasonic Leica lenses are premium models with price tags to match, they do not sport any kind of environmental sealing – this was a short-sighted move since in the year following the launch of the 25mm f1.4, both Olympus and Panasonic announced weather-sealed bodies. It’s a crying shame there’s so many cracking lenses for Micro Four Thirds that can’t confidently be used in tough conditions. The optical design employs nine elements in seven groups with two Aspherical lenses and one Ultra High Refractive Index lens. It was also the first Panasonic Micro Four Thirds lens to feature Nano coatings to reduce flare. The closest focusing distance is 0.3m from which it’ll deliver a magnification / reproduction of 0.11x. The aperture is controlled by a seven-blade diaphragm with rounded blades, and you’ll see lots of examples of its potential depth of field throughout my results and sample images pages. There’s no optical stabilisation, so if you’re shooting with a Panasonic body you’ll need to be aware of minimum shutter speeds to avoid camera shake; mount it on an Olympus body though and you’ll enjoy the benefits of built-in stabilisation. In terms of autofocusing, the 25mm f1.4 feels quick and confident whether mounted on a Panasonic or Olympus body; you’re looking at about half a second to lock onto a subject with sufficient contrast. I used it a great deal as a portrait lens for kids and found it was quick enough to lock onto them before they inevitably moved. In use it’s also faster and quieter than the 20mm f1.7, while additionally supporting continuous AF. As for body compatibility issues, some owners of Olympus bodies, especially the OM-D E-M5 have reported a clicking ‘rattlesnake’ sound when using the 25mm f1.4, tracked-down to the way Olympus cameras adjust the aperture during composition. This doesn’t affect still image quality, but could be a potential annoyance during composition. Some owners say the issue goes away if you restart the camera, while others haven’t noticed it at all. I’d recommend owners of Olympus bodies search for ’25mm rattlesnake’ to see if it may be an issue for them or not. There are no issues reported when using the lens on Panasonic Lumix G bodies. One of the big questions regarding the Leica DG Summilux 25mm f1.4 is how it compares to Panasonic’s original 20mm f1.7 pancake lens. Well, most obviously the Leica lens is considerably larger: it measures 55x63mm (length by maximum diameter) and weighs 200g, compared to the 20mm at 26x63mm and just 100g. So the new Leica 25mm is roughly twice as long and twice as heavy, and while it looks well-proportioned on the G3 and GH series, it’s fairly substantial mounted on a GF or Olympus E-PLx. Note the filter thread on both lenses is identical though, at 46mm. The Leica DG 25mm has a more complex optical construction of nine elements in seven groups, compared to seven elements in five groups on the 20mm. Both share seven diaphragm blades with a circular shape and a minimum aperture of f16. Note the Leica DG lens also features Nano surface coating to reduce flare and ghosting. The closest focusing distance on the Leica DG is 50% further though at 30cm versus 20cm, and you do notice that difference when attempting macro shots with either lens. Both come supplied with lens pouches and hoods, although the hood on the Leica DG enjoys a very stylish rectangular opening. That said, the hood on my sample was a little loose and rattled at times, which could prove distracting on video. I assume this was due to an early version of the hood, but would recommend checking if you intend to film, or prefer – quite rightly – to have equipment which fits together perfectly. Note the hood won’t reverse over the lens for transportation and adds about 40mm to the total length. Both lenses are pretty simple designs, consisting essentially of a manual focus ring and little else – neither has a focus distance window, which is one differentiator with the full-sized Four Thirds version of the Leica 25mm. The manual focusing rings on the Leica DG 25mm and G VARIO 20mm may both employ a motor-assisted mechanism, but in feel and use are a world apart. The ring on the G VARIO 20mm feels stiff and a little scratchy with a faint scraping sound on the samples I’ve used. In contrast, the ring on the Leica DG feels soft and silky smooth, while also turning in silence. It’s not dissimilar to the manual focusing rings on Canon’s top L lenses and feels considerably classier than the G VARIO 20mm. You really can adjust it by tiny amounts and it feels very professional. This alone could swing it for those who manually focus for stills or video. In terms of autofocus, the Leica DG is quicker than the G VARIO 20mm – at least when both are mounted on the G3 anyway – and focuses more quietly too. Importantly, it also supports Continuous AF on the G3, whereas the G VARIO 20mm does not. While quicker and quieter AF, along with a much classier manual focusing ring are all nice to have, the decision for many between the two lenses will boil down to focal length and maximum aperture. The Leica DG 25mm is obviously 25% longer, operating at an equivalent of 50mm, compared to an equivalent of 40mm on the G VARIO 20mm. This makes it a more flattering portrait lens, although get too close and you’ll still suffer from some distortion – it’s certainly not an 85mm equivalent. The maximum aperture is f1.4 on the Leica DG 25mm compared to f1.7 on the G VARIO 20mm, giving it just under two thirds of a stop of extra light gathering power. It also allows a shallower depth-of-field, further accentuated by a slightly longer focal length. To illustrate the differences in focal length and aperture, I photographed a portrait at night from a tripod, with the subject’s right eye positioned under the upper-right cross-section of the 3×3 alignment grid as framed at 25mm. I first photographed this with the Leica DG 25mm at f1.4, followed by the G VARIO 14-42mm kit lens, set to 25mm, at which point its maximum aperture was f4.6. I then fitted the G VARIO 20mm and photographed the subject from the same distance, at the maximum aperture of f1.7. With the same distance and a wider focal length, this shot obviously captures a wider field of view with a smaller subject reproduction. I then repeated the test at f1.7, but shifted the tripod closer to the subject until the size matched that of the 25mm samples and the right eye, again fell below the intersecting grid lines. You can click any of the images below to access larger and original sizes at flickr. Above is the first comparison I’d like to make: the Leica DG 25mm at f1.4 and the G VARIO 20mm at f1.7, both from taken exactly the same position and distance. The difference in coverage is quite dramatic, as is the depth-of-field. The Leica DG 25mm with its slightly longer focal length and larger aperture is delivering a tighter, more flattering view with a shallower depth-of-field. To place both lenses on a more level playing field, here’s the same shot from the Leica DG 25mm compared against the G VARIO 20mm, when the latter was repositioned closer to the subject to match the framing. Now the coverage is essentially the same and the depth-of-field much closer, although the larger aperture and slightly longer focal length of the Leica DG still delivers a shallower depth-of-field. More importantly, to match the subject size, the G VARIO 20mm sample is now suffering from visible distortion on the face with a less flattering result. You really don’t want to take portraits this close with this lens. So a clear win for the Leica DG 25mm when it comes to photographing tighter portraits. Finally, above is a comparison between the Leica DG 25mm and the G VARIO 14-42mm kit lens, the latter set to 25mm at which point the maximum aperture is f4.6. The coverage and perspective from the same distance and position are unsurprisingly identical, but clearly there’s a massive difference between the lenses set to their maximum apertures. The Leica DG 25mm enjoys a much shallower depth-of-field, allowing you to really isolate subjects against even relatively close backgrounds, whereas the 14-42mm just cannot compete in this regard. Now let’s see how the Leica DG 25mm f1.4 measures-up for video. Here are a selection of sample videos filmed with the Leica DG Summilux 25mm f1.4 ASPH using the Panasonic Lumix DMC-G3 and its best-quality 1080 / 60i AVCHD movie mode. Registered members of Vimeo can download the original files by clicking the links below each window; these take you to the Vimeo page where the video is hosted and the link to download the actual file can be found under the ‘About this video’ section in the lower right. In this first video above, I’ve used the Lumix G3’s touch-screen to ‘pull-focus’ between the salt shaker and the menu on the table in the background. There’s no control over the aperture when filming video with the Lumix G3, although judging from still photos taken from the same position moments before, I’d be confident in saying this was filmed with the Leica 25mm’s aperture wide-open at f1.4. Since the salt shaker was positioned close to the minimum focusing distance, the depth of field is very shallow, rendering even the table alongside into a satisfying blur. Unfortunately this also means there’s little for the G3’s contrast-based AF to get its teeth into and it struggles a little here; indeed I struggled a little too to find the menu and salt shaker to tap on when they were out of focus. As such it’s not surprising to see the contrast AF search a little, but at least the focusing is quiet, smooth and fairly swift. As I said in my G3 and GH2 reviews, this is an effect that’s a doddle to achieve with their touch-screen systems. In my second video above, I’ve stayed in Queenstown’s Vudu Cafe to film a video showing the manual focusing on the lens. Again the rim of the coffee cup was positioned close to the minimum focusing distance, but this time I manually focused the lens to the background and back again. The manual focusing ring on the Leica DG Summilux 25mm is silky smooth and a joy to use. Unfortunately there isn’t the focus distance window of the earlier full-sized Four Thirds version of this lens, so you’ll need to be careful to note when you’ve reached the desired position. It’s also a motor-assisted manual focusing system, and with the default settings you’ll need to turn it a lot to go from one end of the focusing scale to the other – around one revolution in this example. This allows precision control, but in the absence of a focusing rig, it’s hard to keep the speed constant. The good news though is the clip once again illustrates the very shallow depth of field of the lens when set to, I presume again, f1.4. PS – the coffee you see here is my favourite in town, so if you’ve found any of the pages useful here at Cameralabs, feel free to buy me a cup! See the top or bottom of the page… Cheers! In my third video clip above I’ve moved to the bar of Queenstown’s Dux Deluxe for another demonstration of the G3’s touch-screen focus pulling system. Once again I positioned the camera as close as the lens would focus, and again under the dim conditions I expect the aperture was automatically wide-open at f1.4. This time I tapped at the neon light in the middle of the frame, then back to the beer labels and back again. With insufficient contrast to focus with at the large aperture, the G3 struggles to lock on successfully when returning from the neon light to the lable, but gets it on a second attempt. Again this clip illustrates the very shallow depth of field, although some may not like the concentric circles seen on out-of-focus points of light. You’ll see these better in the next clip below. In my fourth video clip above, I’ve kept the same composition, but switched to manual focus. Like the second clip earlier, it can involve a fair degree of turning before you get from one end of the focusing scale to the other, and again it’s hard to maintain a constant speed without a focusing rig. The slower speed here though gives you a chance to examine some of the point sources of light when out-of-focus, and instead of a smooth circle, you may notice concentric circles, revealing some aspects of the optical construction. This effect may or may not bother you. What is certain though from all these clips is it’s very easy to achieve a very shallow depth-of-field with this lens when filming video, especially with close subjects. In my fifth video clip above, I filmed an outdoor ice rink at night. I set the camera to manual focus and adjusted it throughout the entire range from the closest to the furthest distance, while also panning slowly from left to right. Now it’s time to move onto an analysis of the still image quality in my Panasonic Leica 25mm f1.4 quality results. Alternatively you can browse a selection of full-resolution Panasonic Leica 25mm f1.4 sample images under a variety of conditions, or if you’ve seen enough, skip straight to my verdict.